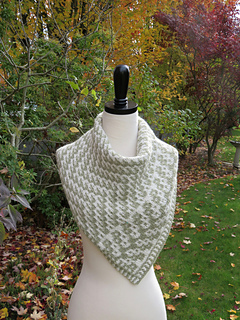 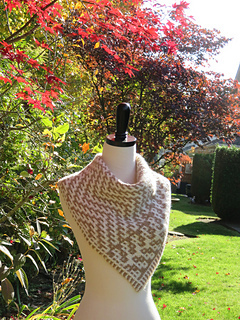 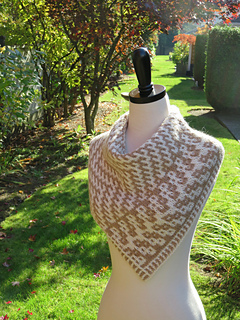 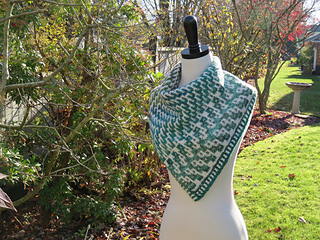 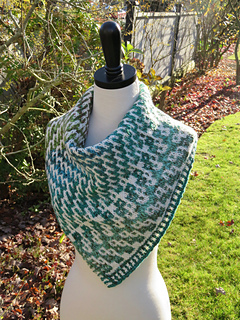 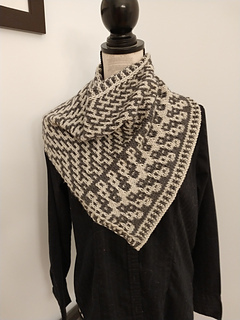 Dovetail Cowl features the same stitch pattern as my Dovetail Shawl pattern. 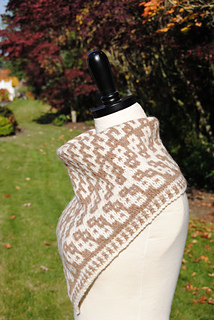 The cowl is worked in worsted weight, knit flat and then joined in the round using a three-needle bind off. 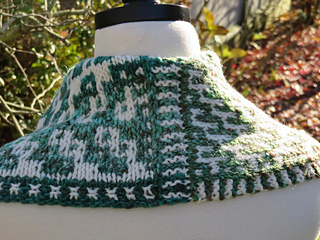 The easy slip-stitch color-work goes quickly, making this a fast project. 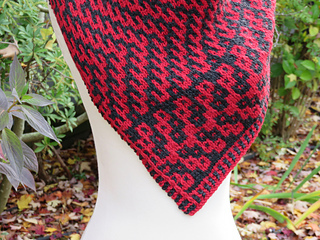 This kerchief style cowl is easy to wear, adding lots of warmth but no bulk behind the neck. 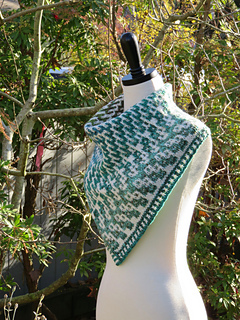 It’s a perfect canvas to play with your favourite colors from your stash. 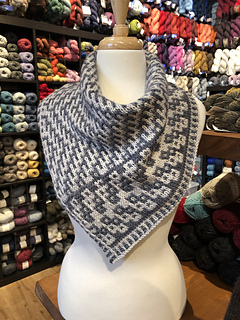 Gift knitting anyone? 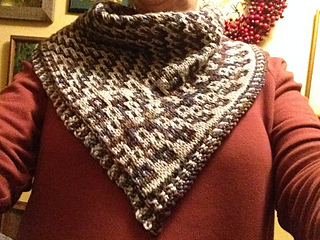 The cowl measures 18 inches (45 cm) from the front neck edge to the bottom point. 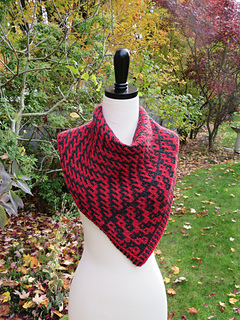 You won’t believe how easy this is, if you can knit two color alternating stripes, you can knit this! 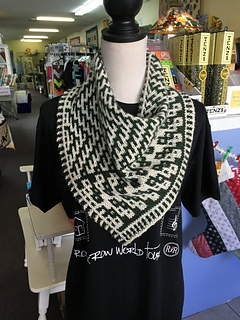 Two colors are alternated every second row, you are only ever working with one color per row. 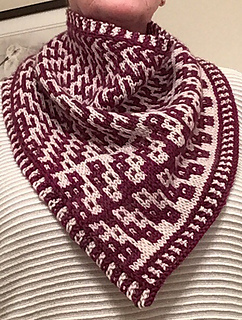 The color pattern is created using slipped stitches, as simple as it sounds: slip one stitch purlwise from the left needle to the right needle. 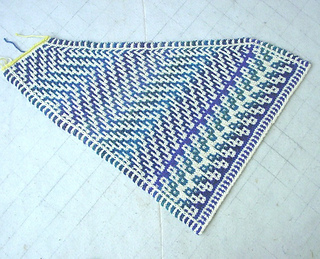 Stitches used for the colorwork: knit, purl and slip. 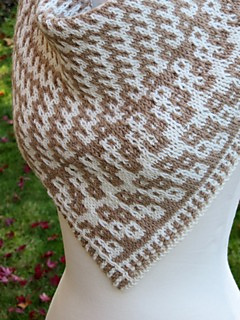 Experiment with different yarns such as semi-solid, self striping or random/planned color changes of your own. 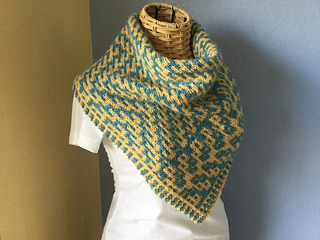 The pattern contains both charts and written instructions for the colorwork. 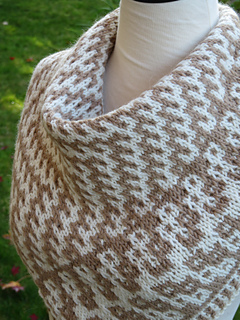 Many thanks to the test knitters on this pattern: Jasmin and Maureen.